It only takes one person with a passion to make a difference! Rev. Janet Jacobs is one of those persons who shares help and hope as the founder of Gambling Recovery Ministries. "Gambling Recovery Ministries bridges the gaps between the faith-based community, treatment programs, and support groups. Most importantly, GRM works with individuals seeking recovery. Referral information and supportive consultation is provided to both the gambler and his/her loved ones. GRM’s life-saving aim is sharing real hope through information about problem gambling recovery and pointing the way to treatment and support groups." 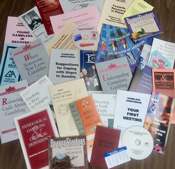 The Gambling Recovery Ministries website https://www.grmumc.org provides a wealth of information on gambling-specific addiction and recovery issues as well as the monthly GRM Blog viewed steadily across the globe. For more information, Rev. Jacobs article is available on the It Worked For Us section of the Mental Health Ministries website. I heard Rev. Susan Gregg-Schroeder speak at the Interfaith Community Services conference four years ago in Tucson and was greatly moved. 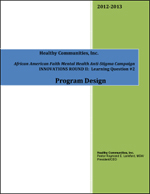 I bought the Mental Health Ministries DVD, Mental Illness and Families of Faith: How Congregations Can Respond. I asked our Church Council to approve a mental health ministry at our church which they did about three years ago. I initiated the first discussion using parts of Mental Illness and Families of Faith DVD. 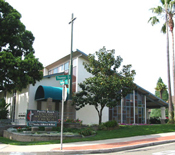 Pacific Beach United Methodist Church remembers that when Jesus' disciples came to him and said, "Dismiss the crowds, they¹ll be getting hungry," Jesus said, "They don¹t need to go away, YOU give them something to eat." Christians living with mental illness have few places where they can be truly open about themselves. At secular support groups they can’t comfortably talk about the importance of God in their lives. At church groups they fear they will be judged if they talk about their mental illness. Sometimes they fear their condition will be considered a spiritual rather than medical problem. Rev. 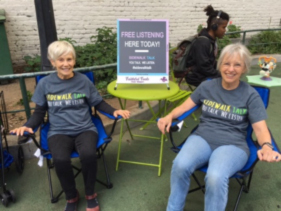 Barbara Meyers, a community minister at Mission Peak Unitarian Universalist Congregation in Fremont, California, produces a monthly public access television show ‘Mental Health Matters – Alameda County”, a program that explores mental health issues. NAMI Haywood is a recently organized affiliate of NAMINC in Waynesville, NC. We serve the rural mountain counties of Haywood and Jackson in Western North Carolina. We have struggled for the past few months to work through many administrative tasks, provide a "Family to Family" class and working together with a partnership of a neighboring affiliate to make CIT "Crisis Intervention Training" available to various local law enforcement agencies. 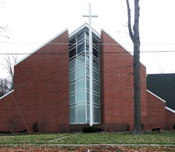 During the 1980s,there was a Religious Outreach Network that met at the NAMI National Convention each year. There was much enthusiasm and encouragement for members to return to their localities and reach out to faith communities. . . to promote education about serious mental illnesses and to increase understanding and support for people with mental illness and their families. The Faithbased Mental Health Ministry Initiative of Bexar County/San Antonio, Texas, developed a one-day training with an eye toward strengthening the safety net for people with mental illness and their families.